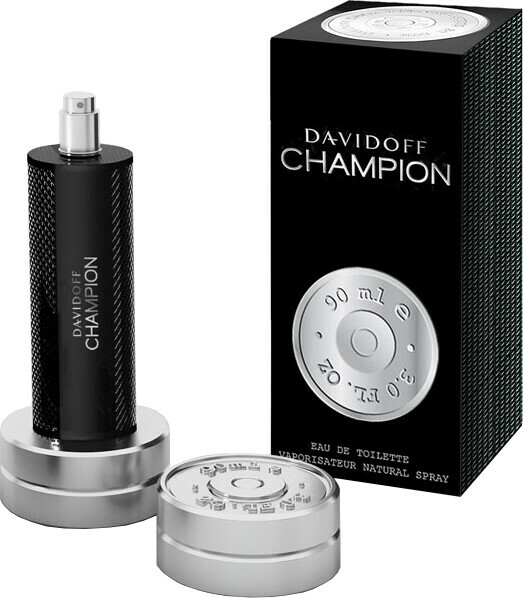 A composition of invigorating scents to inspire men to work hard, gain power and succeed. Pushing men on to the new victory is an alluring blend of citrus and aromatics, an energising combination that will awaken the senses and ignite the desire to succeed. Heart Notes: clary sage, galbanum essence. Base Notes: oak moss, cedarwood. 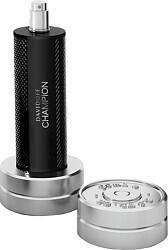 Davidoff Champion Eau de Toilette Spray is rated 3.0 out of 5 by 1. Rated 3 out of 5 by Richard from Great fragrance, silly bottle. I feel slightly harsh only giving Champion three stars. I'm actually a big fan of the fragrance itself - it suits me as a wintery alternative to the fresher Adventure (I'm a Davidoff fan!) - but I struggle to see past the ridiculous bottle design. A dumbell? Really? I'd feel extremely silly (and/or 15 years old) with this thing outside of the bathroom, least of all what was perhaps the designers' original idea: that it might be at home being used in the changing room after a workout. It's a shame, because it spoils the overall experience of enjoying a fragrance that is likely to be a (privately) enjoyed choice of mine for some time.